I am never without my essence of peppermint. It is the best natural remedy for upset stomach. Indigestion is another name for upset stomach. Essence of peppermint does it for me every time. It is the boss when it comes to alleviating my upset stomach. One of the symptoms of an upset stomach includes failure of the stomach to digest food. When this happens, food fermentation may occur, causing sour stomach, which is a term used by many persons. Gas is also a prevalent symptom which may be belched from the stomach at any given time quite frequently. Sometimes, it can be very embarrassing especially if you are among a group of people. Belching can give some sort of relief but most times just temporary. Gas can also cause bloating, abdominal misery, headache and diarrhea. Apart from essence of peppermint, there are other natural remedies which are just as effective. 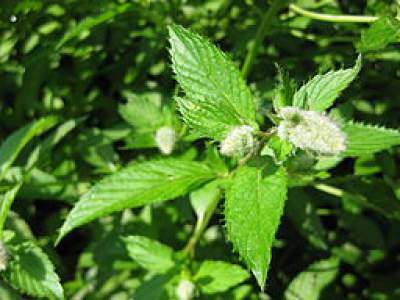 Most plants from the mint family are always good for upset stomach, especially mint, black mint and peppermint from which peppermint essence is made. Ginger is also a very good medicinal herb for gas. As a matter of fact, most elderly people in the Caribbean prefer to consume ginger tea for upset stomach and gas. Milk and tough crackers are very effective natural remedies. This kind of meal can be consumed three times per day and it is good to treat gas and bloating of the stomach. It is reported that drinking buttermilk with each meal can improve digestion and alleviate gas. Some persons prefer to use antacid or anti-gas medications for upset stomach and gas. Place one tablespoonful of your desired antacid with half teaspoon of bicarbonate soda in a glass of hot water and repeat every twenty minutes for not more than four times per day. Also, prevent from putting any food in the stomach for up to twenty four hours, excepting for cool boiled water. Make sure to seek advice from your doctor if you are in doubt about having an upset stomach or indigestion.